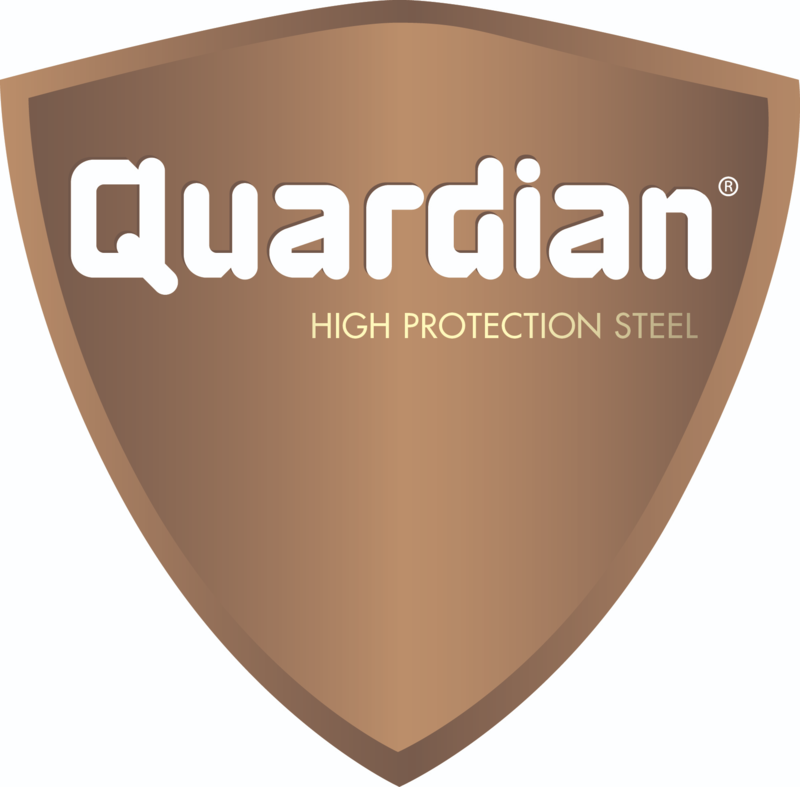 │⌂│ Quardian® is a high protection steel, showing enhanced resistance to ballistic impacts and explosions. It is mainly used for armoured vehicles, anti-riot trucks, M.R.A.P or Cash & Transit. Rolled and then quenched & tempered in Belgium by NLMK Clabecq (part of NLMK Europe - Plate), the thin plates are known for their excellent surface finish, superior flatness and tight thickness tolerances. Quardian® is available in a thickness range from 3,6 up to 40 mm.